Learn why liver pain can occur, as well as where and how it can be felt in your body. Weighing in at about 3 pounds, the liver is a vital organ tucked up under the rib cage on the right side. It is dark red in color and consists of two sections, the right and left lobes. The gallbladder sits right under the liver. Bile, which is produced in the liver, is stored in the gallbladder and released when we consume a meal. The hepatic artery carries oxygen-rich blood from the aorta, while the portal vein carries blood rich in digested nutrients from the gastrointestinal tract. The liver filters blood, removing toxic substances and old red blood cells; metabolizes carbohydrates, fats and proteins; and produces bile which breaks down fats in the digestive tract. The liver is the only organ that, when damaged, is able to regenerate to some extent. While the liver itself has no nerve fibers and is unable to process pain directly, we can experience pain from the upper right quadrant of the abdomen when there is dysfunction. The liver can be physically damaged without feeling any pain whatsoever. It is the liver’s capsule, Glisson’s capsule, which is a thin layer of connective tissue that surrounds the liver, blood vessels and ducts that contains nerve fibers. This capsule is what transmits pain signals when it is stretched or compressed. When the liver is inflamed or a tumor is pressing into the liver capsule, pain signals may be sent to the brain, resulting in the feeling of itching or pain in the upper right quadrant of the abdomen. Liver pain can result from ascites [(fluid buildup in the abdomen, cirrhosis, hepatitis infections, an enlarged liver, or from tumors (cancer)]. Another possible reason for this pain in the liver is an enlarged liver, or hepatomegaly. 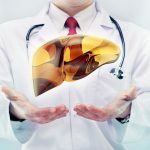 The liver can become enlarged due to bacterial, viral or parasitic infections, heart conditions, genetic diseases and cancers like leukemia or lymphoma. An enlarged liver will also put pressure on the liver’s capsule, creating a sensation that can be interpreted as pain. The signal of pain from the liver’s capsule is typically a dull, vague, ache in the area and can even be interpreted as itching. If you have an enlarged liver, avoid alcohol, sugar, and caffeine. Drink plenty of water. You may also want to look into a supplement capable of restoring your liver to normal. Milk thistle can help you fight the conditions leading to an enlarged liver. For example, it can help you fight viral infections which may be causing the problem, such as acute viral hepatitis. For best results, use UltraThistle, the most potent milk thistle supplement on the market today. It’s up to 20 times more potent than other milk thistle supplements! Since an enlarged liver can be a symptom of cancer, keep in mind your supplement use should go hand-in-hand with your doctor’s support, instead of being used in place of your doctor’s support. Liver pain can, however, become quite sharp and severe. Sometimes, pain in the upper back and right shoulder may be experienced from damage and inflammation in the liver. 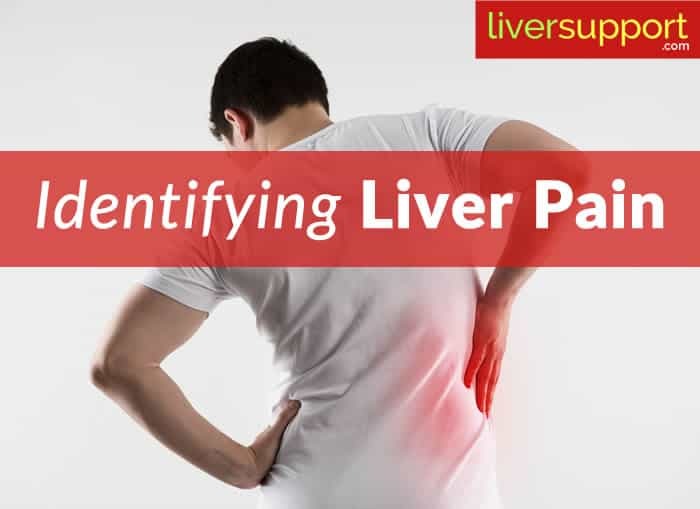 Often, liver pain may be confused with general abdominal pain from digestive issues, back pain or even as kidney pain. If pain in the upper right quadrant of the abdomen is present along sudden weight gain or loss, changes in bowel movements or pale bowel movements, yellowing of the skin or eyes (jaundice), fever, dark urine or significant fatigue – a physician should be consulted immediately. Your doctor will perform an exam using imaging (to view the liver for size, scarring and tumors) as well as blood and urine testing to check liver enzyme levels and the presence of bilirubin. Bilirubin is a byproduct of the breakdown of red blood cells by the liver and is what makes skin and eyes appear yellow when it builds up in the blood stream as a result of impaired liver function. 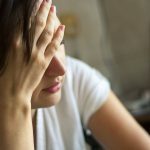 Overall, it can be difficult to identify the often vague pain from the liver capsule as being a sign of liver inflammation, enlargement or tumors in the organ. 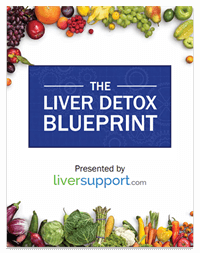 This is why it is so important to be familiar with all of the signs and symptoms of liver dysfunctions, while maintaining a healthy diet and body weight, and eliminating toxins from your diet and environment in the effort to maximize liver health and function. Hoffman, M. (n.d.). Picture of the liver. WebMD. Retrieved on 10/13/16 from http://www.webmd.com/digestive-disorders/picture-of-the-liver#1. Krucik, G.. (2016). What causes liver enlarged? 15 possible conditions. Healthline. Retrieved on 10/13/16 from http://www.healthline.com/symptom/liver-enlarged. 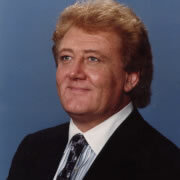 Medincinenet. (n.d.) Definition of liver pain. Medicinenet.com. Retrieved on 10/13/16 from http://www.medicinenet.com/script/main/art.asp?articlekey=109723. Live Science. (n.d.). Liver: Function, failure and disease. LiveScience.com. Retrieved on 10/13/16 from http://www.livescience.com/44859-liver.html.